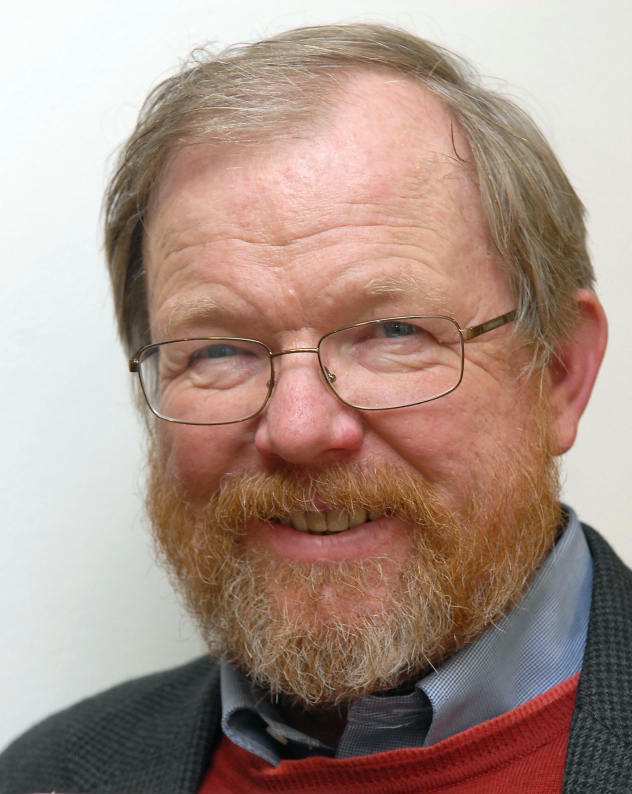 Author Bill Bryson is known for exploring far-flung places: His previous books cover the Australian outback and the Appalachian Trail -- and even the history of the universe. But the author of A Short History of Nearly Everything found inspiration for his most recent book after a hike through his own old, Victorian house in England. The idea, he tells NPR's Renee Montagne, was to treat his own home as "a universe in its own right." The result is At Home: A Short History of Private Life, a book which Bryson says uses his own house as a jumping off point to explore the general history of domesticity everywhere. Bryson's research into the history of the average Western home yielded some unexpected finds -- as recently as 200 years ago, the rooms of a common house might have been barely recognizable. Take, for instance, the long history of the hall, which Bryson refers to as "the most demoted room in the house." "Hall denotes important spaces in the wider world," Bryson says. "Hall of Fame, Carnegie Hall, that kind of thing. 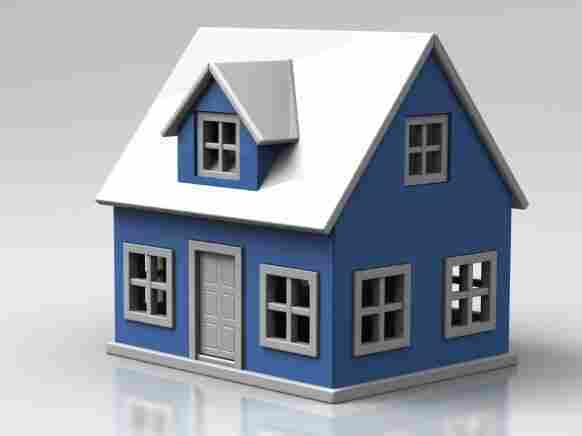 And yet in our own homes it's this dinky room, where we just take off our shoes and hang our coats and hats." Bryson discovered that the discrepancy could be traced back to the Middle Ages. In Medieval Europe, the average house was comprised of a single room -- the great hall -- with a kitchen and a few other annexed rooms to the side. At the time, the private life that Bryson chronicles did not yet exist. Families slept together in the hall, and usually did not even have beds of their own. The term "make a bed," Bryson says, is derived from the literal practice of making a new bed each night; while some families rolled out cloth pallets to sleep on, many simply heaped a nest of straw in the hall for themselves, and then put a blanket down on top of it. "It was a much more fluid and informal arrangement then we are used to now," Bryson explains. The architecture of the average home in the Middle Ages was heavily influenced by the absence of one critical factor: chimneys. Houses were warmed in winter by an "open hearth" in the hall, which Bryson compares to "having a permanent bonfire in the middle of the living room." "There were no chimneys up until about 14th century," he says. "What you did was you had an open fire, and all the smoke just kind of leaked out a hole in the roof. A fire in the middle of the room radiates heat much better than a fireplace does, but it also meant that there was a lot of smoke and sparks and things drifting about." When the chimney was finally introduced, it permanently revolutionized the Western house. Perhaps most significantly, it gave way to subsequent invention: the upstairs. Before chimneys, Bryson says, "all this roof space that used to be taken up filled with smoke and would have been unlivable. That [area] was now comparatively clean, and so people could … start thinking about building an upstairs." It was at this point that the different rooms we take for granted -- bedroom, study, closet -- began to enter the common vernacular. However, Bryson notes that many of these rooms served very different functions hundreds of years ago than they do today. Though a boudoir is now commonly connected with a sense of sexual intrigue, Bryson says that the French word actually translates into "a place to sulk." For the French, these two things go together, Bryson suggests. And they were not the only two things the room was used for. Bill Bryson is also the author of A Walk in the Woods, Notes from a Small Island, In a Sunburned Country and A Short History of Nearly Everything. We forget just how painfully dim the world was before electricity. A candle, a good candle, provides barely a hundredth of the illumination of a single 100 watt lightbulb. Open your refrigerator door, and you summon forth more light than the total amount enjoyed by most households in the 18th century. The world at night, for much of history, was a very dark place indeed. When Bryson came across the refrigerator statistic during the course of his research, it was winter in England, and completely dark. As an experiment he went into the darkest room in his house and attempted to read by candlelight. "It's nearly impossible," he says. "I mean, everybody should try it as an experiment sometime. Because not that long ago, a very large proportion of people, that was all the illumination they would have." Unsurprisingly, Bryson adds, this lack of light defined the way people spent their evenings. In his book, he quotes a guest at a Virginia plantation in the 18th century, who wrote in his diary that a dinner was "luminous and splendid" because of the seven candles that illuminated the room. "To him it was a blaze of light," Bryson writes. While the effect of electricity on the average Western home was clearly revolutionary, dramatic shifts in domestic life also came from unexpected places. In addition to the critical importance of chimneys, Bryson explores the defining influence of, of all things, upholstered furniture. Before upholstery, there were no dining rooms. "I never stopped to think about that, but you don't have dining rooms in your home because at some point in history people suddenly decided they wanted a room dedicated to eating," Bryson says. "When [upholstered furniture] finally began to happen the late 18th century, guests, when they sat in these chairs, were tending to wipe their fingers on the upholstered furniture." "The mistress of the household essentially decreed that it was necessary to put aside a particular room dedicated to the purpose of eating so that they weren't spilling food and messing up the really good furniture in the living rooms." Bryson says that these historical tidbits were a daily discovery for him as he researched his book. A house is just full of surprises, and the historical significance of domestic spaces, phrases and traditions are often overlooked in our day-to-day lives. "Why do we have salt and pepper, and not salt and cinnamon?" Bryson says. "And when they talk about things like 'room and board,' what's the 'board'? What are they talking about? All these things that are just part of everyday life -- there are reasons for why we have four tines on our forks, and so on. That's what history made them." The risks were considerable and keenly felt, yet after only a few days of fretful hesitation the commissioners approved Paxton's plan. Nothing -- really, absolutely nothing -- says more about Victorian Britain and its capacity for brilliance than that the century's most daring and iconic building was entrusted to a gardener. Paxton's Crystal Palace required no bricks at all-indeed, no mortar, no cement, no foundations. It was just bolted together and sat on the ground like a tent. This was not merely an ingenious solution to a monumental challenge but also a radical departure from anything that had ever been tried before. The central virtue of Paxton's airy palace was that it could be prefabricated from standard parts. At its heart was a single component -- a cast-iron truss three feet wide and twenty-three feet, three inches long -- which could be fitted together with matching trusses to make a frame on which to hang the building's glass-nearly a million square feet of it, or a third of all the glass normally produced in Britain in a year. A special mobile platform was designed that moved along the roof supports, enabling workmen to install eighteen thousand panes of glass a week -- a rate of productivity that was, and is, a wonder of efficiency. To deal with the enormous amount of guttering required -- some twenty miles in all -- Paxton designed a machine, manned by a small team, that could attach two thousand feet of guttering a day-a quantity that would previously have represented a day's work for three hundred men. In every sense the project was a marvel. Paxton was very lucky in his timing, for just at the moment of the Great Exhibition glass suddenly became available in a way it never had before. Glass had always been a tricky material. It was not particularly easy to make, and really hard to make well, which is why for so much of its history it was a luxury item. Happily, two recent technological breakthroughs had changed that. First, the French invented plate glass -- so called because the molten glass was spread across tables known as plates. This allowed for the first time the creation of really large panes of glass, which made shop windows possible. Plate glass, however, had to be cooled for ten days after being rolled out, which meant that each table was unproductively occupied most of the time, and then each sheet required a lot of grinding and polishing. This naturally made it expensive. In 1838, a cheaper refinement was developed-sheet glass. This had most of the virtues of plate glass, but it cooled faster and needed less polishing, and so could be made much more cheaply. Suddenly glass of a good size could be produced economically in limitless volumes. Allied with this was the timely abolition of two long-standing taxes: the window tax and glass tax (which, strictly speaking, was an excise duty). The window tax dated from 1696 and was sufficiently punishing that people really did avoid putting windows in buildings where they could. The bricked-up window openings that are such a feature of many period buildings in Britain today were once usually painted to look like windows. (It is sometimes rather a shame that they aren't still.) The tax, sorely resented as "a tax on air and light," meant that many servants and others of constrained means were condemned to live in airless rooms. The second duty, introduced in 1746, was based not on the number of windows but on the weight of the glass within them, so glass was made thin and weak throughout the Georgian period, and window frames had to be compensatingly sturdy. The well-known bull's-eye panes also became a feature at this time. They are a consequence of the type of glassmaking that produced what was known as crown glass (so called because it is slightly convex, or crown-shaped). The bull's-eye marked the place on a sheet of glass where the blower's pontil -- the blowing tool -- had been attached. Because that part of the glass was flawed, it escaped the tax and so developed a certain appeal among the frugal. Bull's-eye panes became popular in cheap inns and businesses, and at the backs of private homes where quality was not an issue. The glass levy was abolished in 1845, just shy of its hundredth anniversary, and the abolition of the window tax followed, conveniently and fortuitously, in 1851. Just at the moment when Paxton wanted more glass than anyone ever had before, the price was reduced by more than half. This, along with the technological changes that independently boosted production, made the Crystal Palace possible. The finished building was precisely 1,851 feet long (in celebration of the year), 408 feet across, and almost 110 feet high along its central spine-spacious enough to enclose a much admired avenue of elms that would otherwise have had to be felled. Because of its size, the structure required a lot of inputs-293,655 panes of glass, 33,000 iron trusses, and tens of thousands of feet of wooden flooring-yet thanks to Paxton's methods, the final cost came in at an exceedingly agreeable £80,000. From start to finish, the work took just under thirty-five weeks. St. Paul's Cathedral had taken thirty-five years. Two miles away the new Houses of Parliament had been under construction for a decade and still weren't anywhere near complete. A writer for Punch suggested, only half in jest, that the government should commission Paxton to design a Crystal Parliament. A catchphrase arose for any problem that proved intractable: "Ask Paxton." The Crystal Palace was at once the world's largest building and its lightest, most ethereal one. Today we are used to encountering glass in volume, but to someone living in 1851 the idea of strolling through cubic acres of airy light inside a building was dazzling-indeed, giddying. The arriving visitor's first sight of the Exhibition Hall from afar, glinting and transparent, is really beyond our imagining. It would have seemed as delicate and evanescent, as miraculously improbable, as a soap bubble. To anyone arriving at Hyde Park, the first sight of the Crystal Palace, floating above the trees, sparkling in sunshine, would have been a moment of knee-weakening splendor. 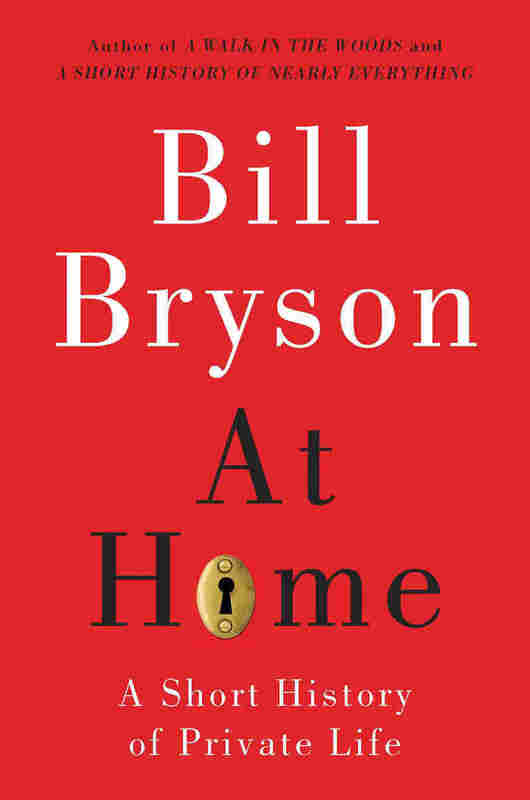 Excerpted from At Home: A Short History Of Private Life by Bill Bryson Copyright 2010 by Bill Bryson. Excerpted by permission of Doubleday, a division of Random House Inc.